If you are like me, you have a lot of DVD's, games, and other things people always ask to borrow. It sometimes gets hard to keep track of who has what when a lot of people are borrowing something of yours. 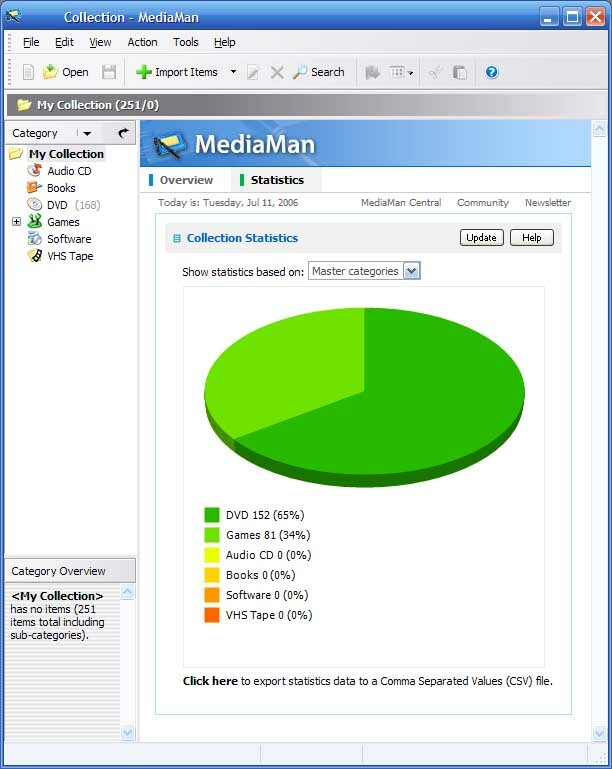 I set out to find a solution to my problem and found MediaMan, a great cataloguing software. It can display your collection as a virtual shelf, list, by category, and more. If you lend a movie, game, or anything else out to someone, you just open the program and set the status of it to lent by right clicking on it and pressing change status. You may specify to who by pressing advanced. If you want to see what you have lent out, set the organize mode to status and select the lent category. MediaMan has a great way of adding things to your collection. 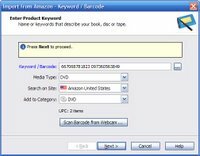 It supports getting the information from Amazon, the Library of Congress, or manually. To import from amazon, make sure you are in the right category and select it from the action menu or by press F8. You may search by title or by UPC. If you search by UPC, you may enter multiple at a time by separating them with a space. 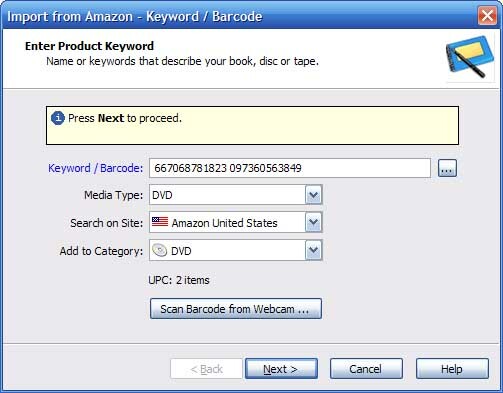 A great feature of the program is scan barcode from webcam, which -- if you have a high quality webcam -- reads the barcode by passing it infront of the webcam. You may scan as many at a time as you want using this method. 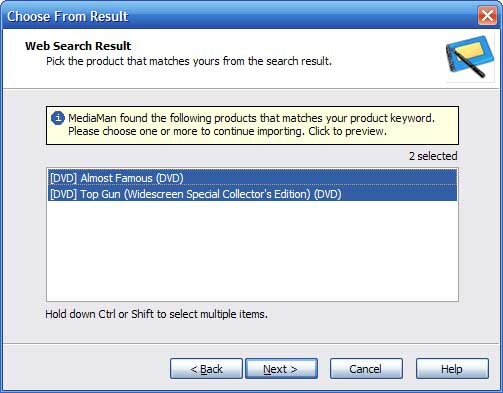 After pressing next, you are presented with a screen with the search results where you may choose as many as you like to add to your collection. After you press next again, information and pictures about them will be downloaded and they will be added to your collection. 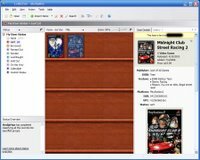 There are also many more features such as statistics where it will show you how much of your collection is each type of media, actors, studios, and more. There are also other features like exporting your collection to a HTML file, text file, virtual shelf image, or CSV file.